The first facial Revolumizing Serum and Day Cream with the highest concentration of Hyaluronic acid to plump cheeks, fill wrinkles and restore youth. Dermo Expertise is the number 1 anti-ageing brand worldwide with expertise straight from the labs. From science to beauty so your skin can look its best. As we get older, our skin starts to lose volume because we experience changes like fat loss, muscle atrophy and depleted collagen and elastin. Our bodies also produce less hyaluronic acid. Hyaluronic acid is naturally found in the skin, where it holds on to water molecules and gives skin its plumpness and volume. This loss in volume can begin as early as in our mid-20s. The signs of volume loss can include: a turned down mouth, loose skin around the jaw, flatter looking cheeks, thinning, dry skin, sunken looking temples, increased wrinkles and more pronounced eye socket hollows. The key to replenishing your skin’s volume is by adding a product with hyaluronic acid to your daily beauty regime. This brings back volume to your skin, giving it a natural, youthful looking fullness. Experts say there’s no need to wait until you’re older; begin in your mid-20s to help delay the first signs of aging. 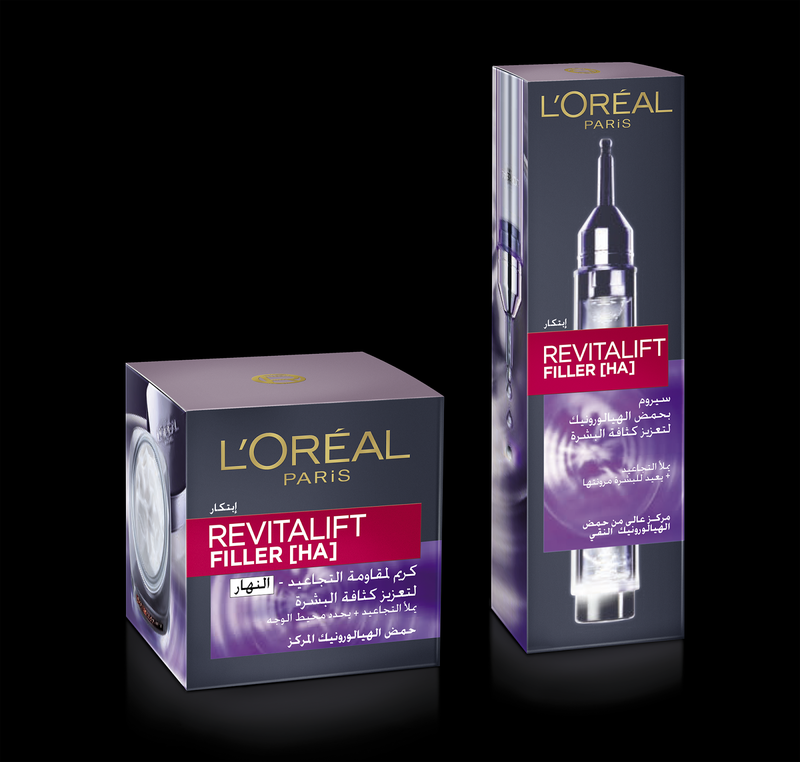 Now L’Oréal Paris Dermo Expertise’s new Revitalift Filler (HA) range does just this: delays the visible signs of aging by restoring volume, filling wrinkles and plumping cheeks. Consisting of an elegantly packaged Revolumizing Serum (designed to look like an injection) as well a Revolumizing Day Cream, these new additions to the Revitalift Franchise are the latest innovation, offering breakthrough formulas. They contain the highest concentration of hyaluronic acid to fill wrinkles, plump cheeks and restore volume. In fact, the Revolumizing Serum is ten times more concentrated, with 145mg of pure hyaluronic acid, while the Revolumizing Day Cream has the most amount of hyaluronic acid in any cream ever created by L’Oreal. This revolutionary technology works on the most important areas: the jawline, the apples of your cheeks and on the cheek area. Clinical results following use of Revitalift Revolumizing Serum and Day Cream show a 67% improvement in definition of contours and replumping of cheekbones, with skin overall looking younger by 73% in just two weeks. The skin cushion improves, becoming firmer, more toned and flexible, and stays hydrated for 48 hours; wrinkles reduce, particularly on the forehead and nasolabial area, crow’s feet diminish as well. Skin plumpness increases with visibly restored facial volumes. The result is a fuller, plumper, younger looking face. L’Oréal Paris Dermo Expertise is the expert brand in anti-aging, having already launched the hugely successful Laser range, which also targeted wrinkles, but from the outside in. 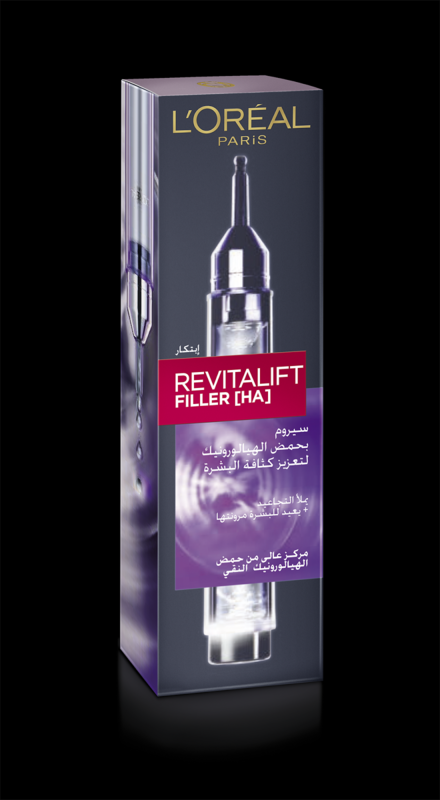 Now, with the Revitalift Filler (HA) range, there’s no need to try and turn back the clock to look and feel younger. It effectively works from the inside to restore volume and fill wrinkles. L’Oréal Paris Dermo Expertise understands how a woman feels about aging, and knows just how to give her the best in science and innovation to stay and look forever young. 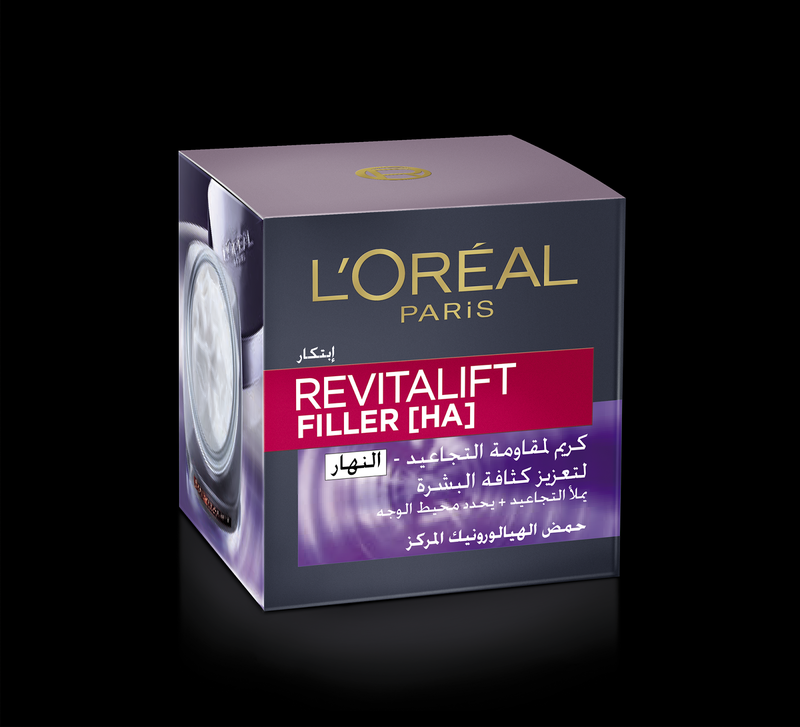 8 comments on "New Revitalift Filler (HA) range from L’Oréal Paris Dermo Expertise‏"
This sounds really interesting! I haven't seen it, but I would definitely try it! I'm definitely interested to try this! 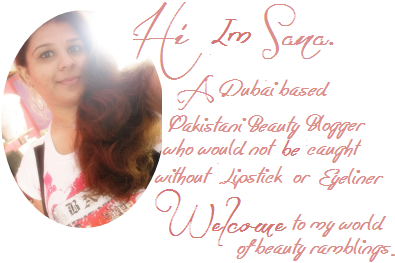 I have forehead lines and will try anything to lessen them.